Luigi Cadorna, Italian general and Chief of Staff of the Italian Army from from July 27, 1914 until his replacement by General Armando Diaz on November 7, 1917 after the disastrous Italian defeat in the Battle of Caparetto. In 1915, Italy's first year in the War, Cadorna launched four Battles of the Isonzo. In 1916, he added five more, the Sixth Battle of the Isonzo being his most successful. 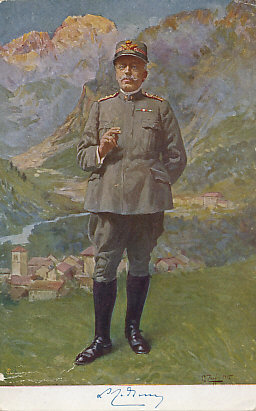 Cadorna continued his attacks on the Isonzo in 1917, with the Tenth (May 12 to June 8) and the Eleventh (August 19 to September 12). With a ceasefire on the Russian Front, and fearing its ally Austria-Hungary was near collapse, Germany joined in what would be the Twelfth Battle of the Isonzo, the only one not initiated by Italy, better known as the Battle of Caporetto. 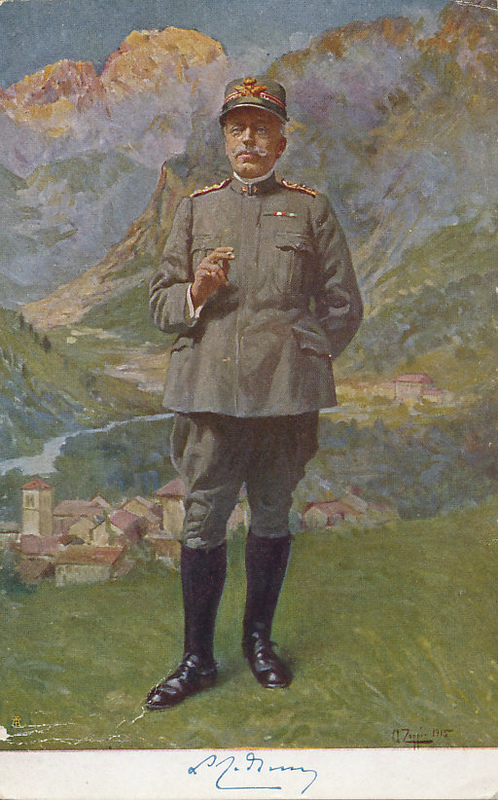 After suspending the Eleventh Battle of the Isonzo on September 12, 1917, Cadorna, concluded his army was in no condition to resume the offensive until the spring, and that the Austro-Hungarian forces arrayed against him would not attack. Although he told his commanders to put their forces on the defensive, General Luigi Capello, commander of the Second Army, did not do so, hoping to launch a further attack. On October 24, German and Austro-Hungarian forces launched Twelfth Isonzo using 'Hutier tactics' first used in the German capture of Riga in Russia. 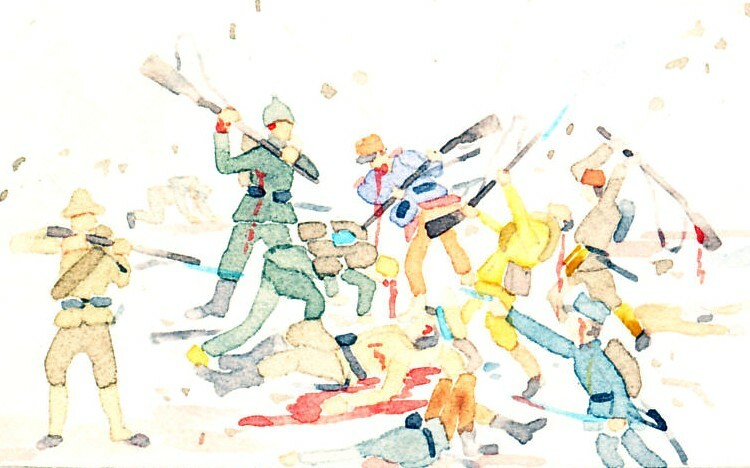 Capello's Second Army found the enemy both before and behind it, and began to collapse. Within four days the entire Italian front collapsed, retreating 80 miles to the Piave River, within reach of Venice. 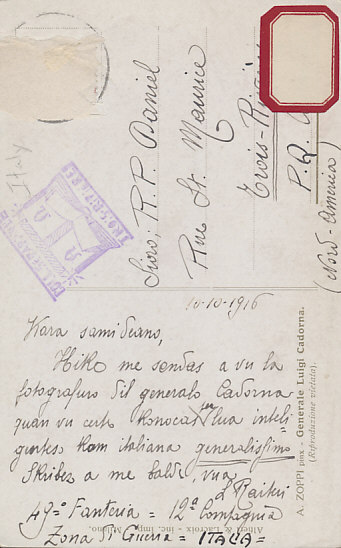 Cadorna blamed anyone he could, but particularly his soldiers. After refusing to resign, he was sacked by King Victor Emmanuel, and replaced by Armando Diaz.